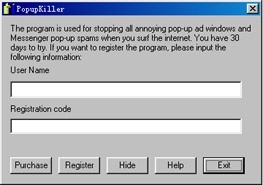 To introduce POPUP KILLER, we are offering a special promotion! Only $19.98 U.S. for the full version until April 18, 2019! Click here to order now! 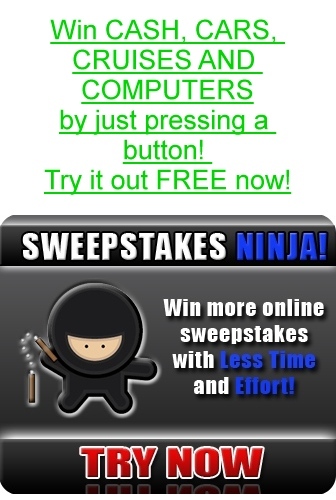 It is used for stopping all annoying pop-up ads windows when you surf the internet. It also blocks Windows Messenger in Windows XP/2000/NT which interfere with your program running. It is easy-use tool without any configuration. It runs automatically when Windows starts up each time, saves the bandwidth of your internet connection and your time. The main features include:Block unsolicited pop-up ads. 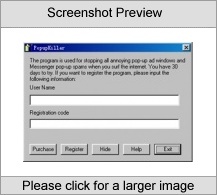 Block Messenger popup spams for Windows XP/2000/NT. Never interfere with user's normal navigation. Automatically launch when windows starts up. Robust and never make IE crash or frozen. Easy to use without need any configuration. Compatible with all Windows Internet Explorer.